The UK band release their fourth album, Strangeland, on May 7, and Tom admitted it took him a long time to find his confidence. "Last year I was restless, I was pretty down for a while, missing this, itching to get out and sing again," he told The Star. 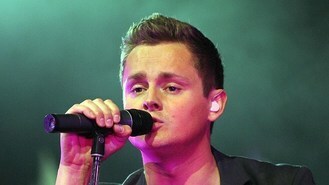 "It's probably not until this record that I have ever felt super-confident about being Keane's frontman. I've been a dribbling wreck, full of insecurities." Tom's bandmate, pianist and songwriter Tim Rice-Oxley, revealed the Bedshaped band weren't very cool when they started out. "When we started we were typical teenagers who wanted to meet girls. A bunch of geeks who wanted to find a way of being cool," he said.